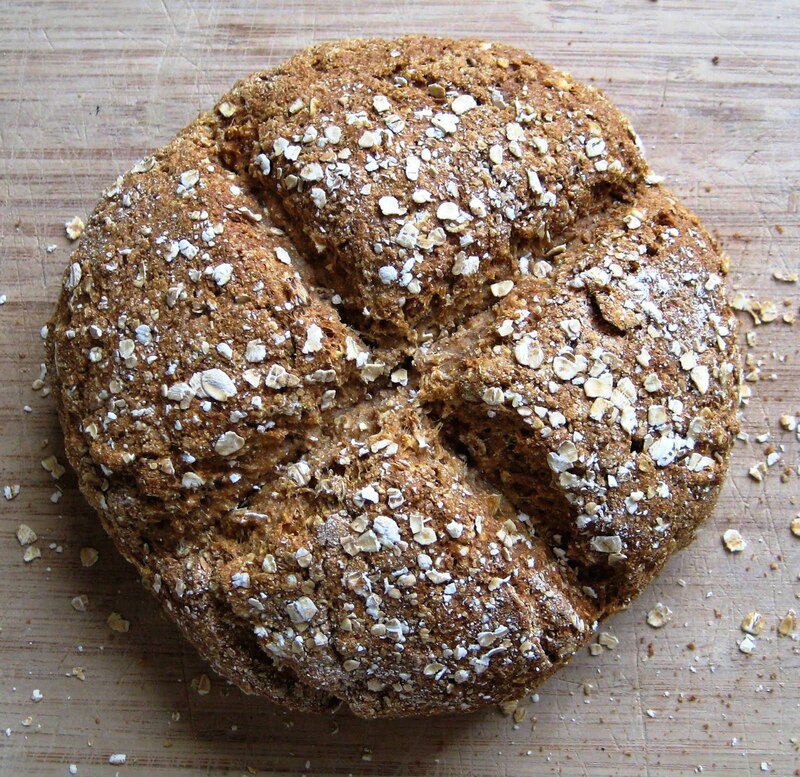 With St Patrick's Day just around the corner, I'm reposting one of the most popular recipes on my blog - soda bread. 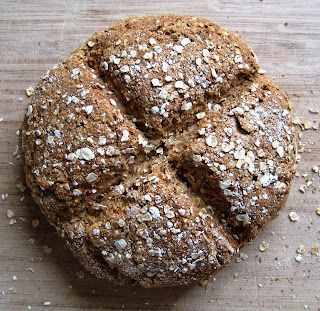 It's a brilliantly easy bread to make, even if you have arthritis. 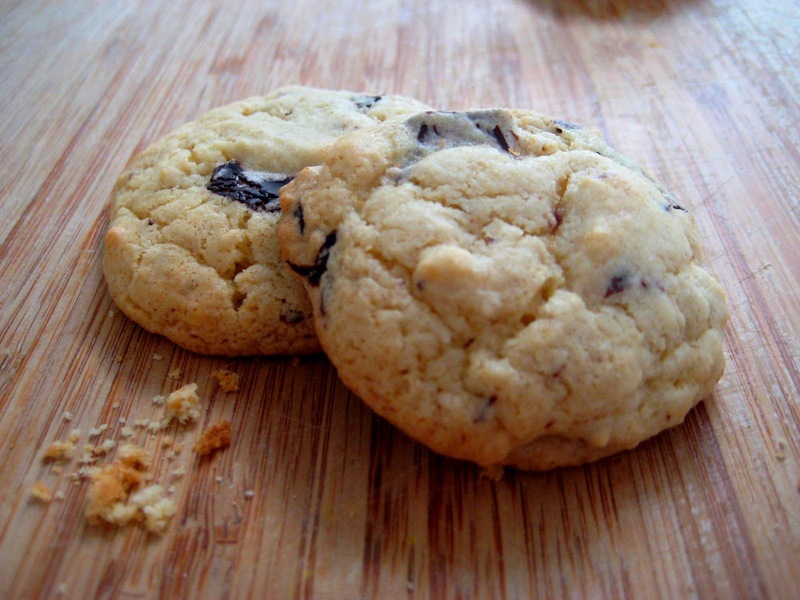 There is no proving or kneading required so you can knock it up in under an hour. Try adding raisins and walnuts for a sweet loaf or cheese and herbs for a lovely savoury bread. 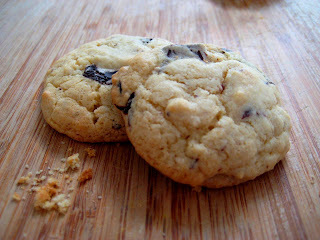 If you don't eat gluten, have a look at my wheat free version and simply swap the oats for GF flour. Cooked tomato is pretty much forbidden in our house. My other half had a traumatic childhood event involving a stewed tomato and to this day won't so much as touch anything involving them. I can't say I'm happy about it - the first meal I have when he is out is pasta arrabiata - but I've found ways around it, like this delicious pasta sauce or bruschetta topping. It's such an amazingly fresh and flavourful sauce that you will quickly find yourself making it all the time. 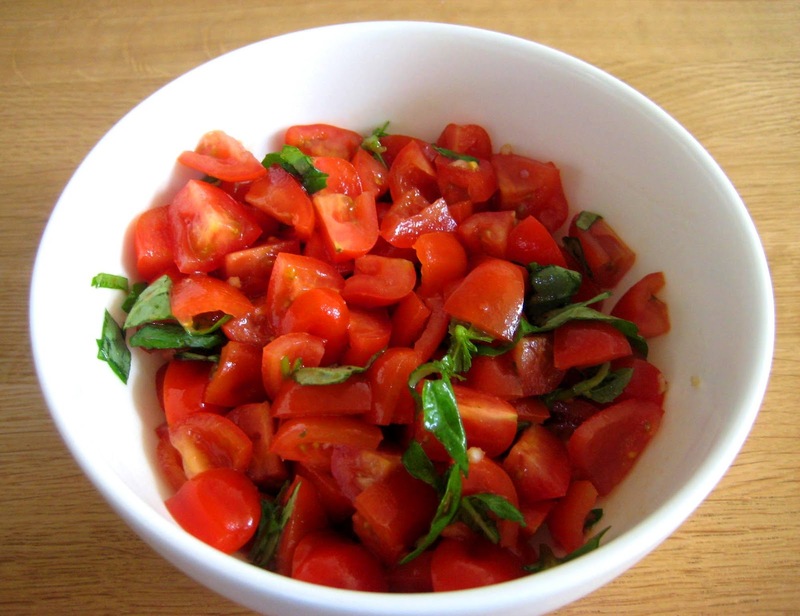 It tastes great on pasta, bruschetta (or just toast), as a dip and as an accompaniment to grilled fish or meat. Just as well then that it takes about 3 minutes to put together, compared to at least half an hour for the cooked version. And best of all, there is no peeling or seeding of tomatoes involved. Sometimes having to do things differently really does lead to doing things better! Slice each cherry tomato into half or quarters (depending on size and how chunky you like your sauce). Finely slice the garlic and basil. Put in a non-metallic bowl and stir through the olive oil and balsamic vinegar. Tip: You can serve it immediately but the flavour is best if you let it marinade for 2-3 hours in the fridge before bringing around to room temperature about 30 mins before serving. This is a brilliant recipe for anyone with arthritis looking to add some quick, tasty recipes to their diet.Tomatoes are rich in the powerful antixodant lycopene (although ironically cooking them creates even more lycopene...) and a rich in vitamins A and C. Several studies have linked these antioxidant vitamins to reducing inflammation in all types of arthritis, although trials of supplements have had disappointing results. Some people with arthritis avoid tomatoes, as it was once thought that vegetables belonging to the nightshade family, like tomatoes, could aggravate arthritis. Happily, there is no evidence to suggest that nightshades do make arthritis worse, and plenty of evidence to indicated that a vegetable rich, Mediterranean diet helps arthritis, so tuck in to those tomatoes! 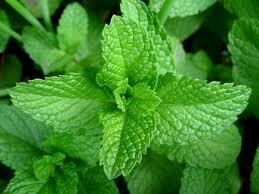 Mint is very helpful if any of your arthritis medications give you nausea, heartburn or an upset stomach. Just the menthol-rich smell of it is often enough to help settle queasiness. Whilst you can buy peppermint oil capsules, you should be careful with these if you already take antacids or medications to decrease stomach acid (like proton pump inhibitors) for heartburn.The special enteric coating on them means that they can dissolve too quickly in combination with these medications and cause even more heartburn and nausea! Mint is easy to enjoy in your food. A handful of fresh mint with any spicy dish is cooling - try it with Thai dishes or mixed into yoghurt alongside a curry. Mint is also delicious paired with tangy lemon or sharp cheeses, think feta, goats cheese and halloumi. 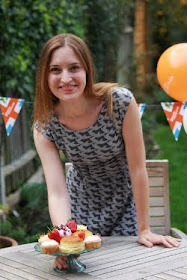 For pudding, try it sprinkled over apples, strawberries, mango or pineapple. Finally, pour boiling water over fresh leaves for a lovely cup of soothing mint tea.